Windows 8 comes with already set email client by default which is 'Mailto' and it could be annoying for some of us. Yes, you can change its default client using below tips. Now you don't need to stick to the default ‘mailto’ function which comes preloaded. With a slight change in settings, you can direct your email to open another facility. 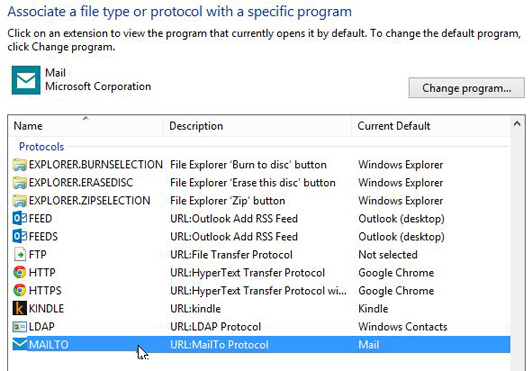 Windows default Mailto function can be well used but how about using other efficient programs available? Once you are acquainted with other interfaces available, you can always willing to set them default. By editing this setting and using your own favorite program you will certainly enhance productivity and keep yourself feel totally customized. Your computer will behave in totally healthy condition and will have no harm with speed and performance. Everyone of us now a days have a different email client such as Outlook, Thunderbird, Eudora etc., then why to stick to windows 8 default email client? The answer is Microsoft's branding. Here we will discuss how to configure default email client in windows. Go to settings search by clicking 'Windows + W' key. Now type in 'default programs' in a search box and select 'default programs' option. Now click 'Associate a file type or protocol with a program' link. Now 'Set Association a file type or protocol with a program' saying link box will open. Click on the link. Scroll down in the program list and select 'Mailto' option and double tap on it. It will open another pop-up window which will let you select another email clients. Make your choice and its done. 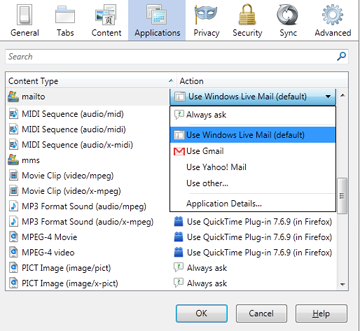 Firefox users have an easy setting to choose default mail client. Just refer below image. 'Always ask' option will ask you every time which service you want to use. 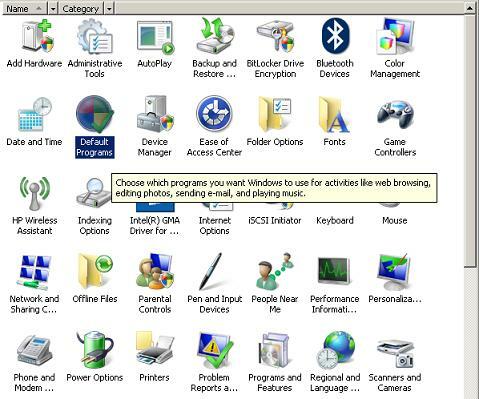 Use <Program> will ask you which program you want to you use such as thunderbird, live mail, outlook etc. Use <Webmail> - this option will ask you to open your mail with online mail services such as Gmail, yahoo mail etc.